13814 10th Avenue S, Zimmerman, MN.| MLS# 5015130 | Casey Zimmerman | Greater Midwest Realty | 763-753-3593 | Your Premier Real Estate Company for Handling North Metro and the Surrounding Areas Minnesota Homes for Sale. 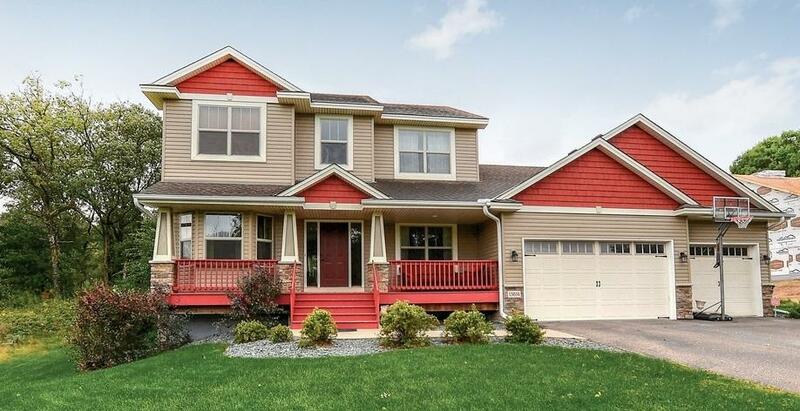 A lot of livin' to do and lots of room for it in this gorgeous home. Walk in to an open floor plan from the living room, to the kitchen, to the dining room. The open concept is ideal for entertaining. Upstairs you will find 4 bedrooms. The master suite offers plenty of room with vaulted ceilings which makes the feel even more spacious. Sip on your favorite cup of tea while reading the newspaper enjoying the peaceful setting on your covered front porch.